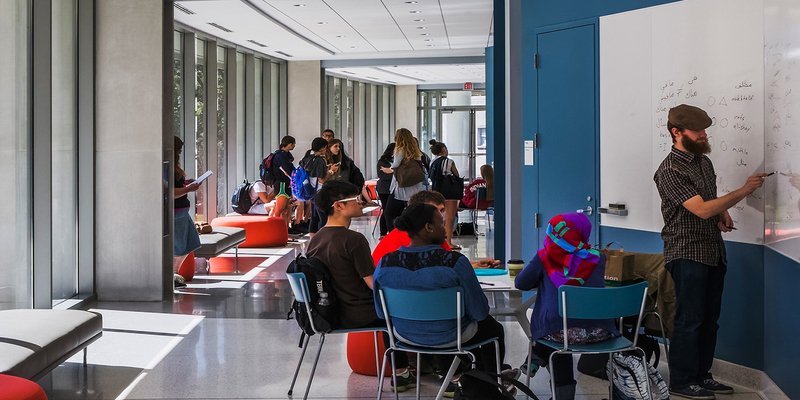 Students and staff drive important efforts to improve energy efficiency, raise awareness, and integrate mindful energy consumption across the University. These efforts, most notably the campus-wide Energy Challenge, reduce energy costs and greenhouse gas emissions (GHG) for the entire campus. Although behavior change and engagement that leads to reduced energy demand is important, it is only one part of a larger effort to reduce costs and emissions. IU is also working aggressively to improve efficiency through infrastructure investments. More efficient buildings reduce energy costs and GHG emissions, while also protecting the University from projected future increases in energy prices. One of the most impactful ways that IU is improving efficiency is through state appropriations for repair and rehabilitation (R&R) of existing buildings. 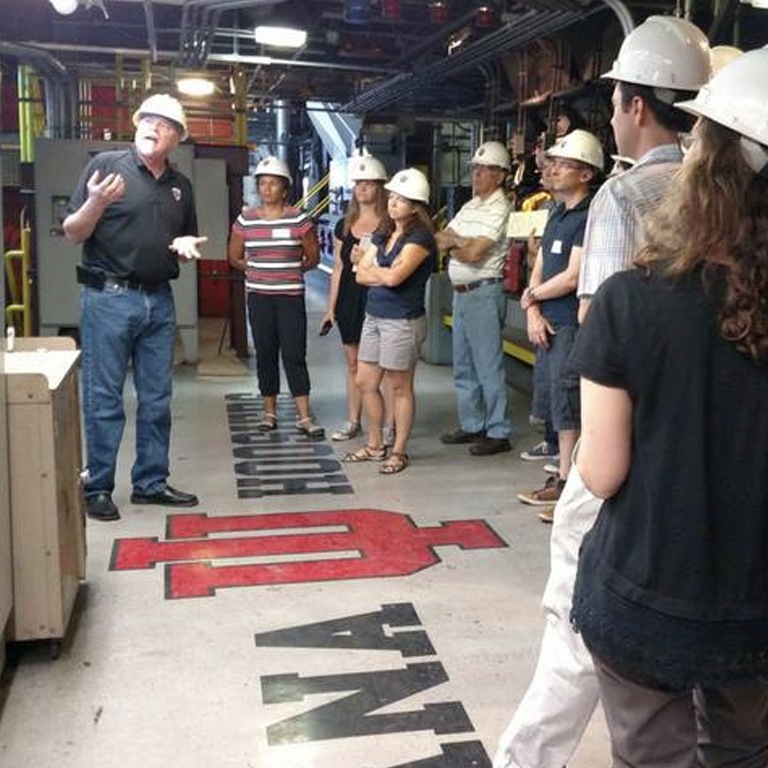 IU has prioritized energy efficiency when evaluating building vulnerabilities and R&R efforts. For instance, this past year, more than half of the total R&R spent (more than $21 million) for the Bloomington campus included energy efficiency upgrades or improvements. These projects included metering upgrades to ensure more accurate tracking of building performance, systematic lighting fixture upgrades to LED bulbs, window replacements, air handling unit replacements, building controls upgrades, replacement of outdated electric boiler systems and chilled water pumps, as well as building envelope repairs and maintenance. These and other investments are making an impact; IU recently reported, via STARS, that between FY 2010 and FY 2017 building energy use intensity per square foot has decreased by 17.6% for the campus. Climate change is becoming increasingly relevant to life on campus and the built environment is a significant portion of that. 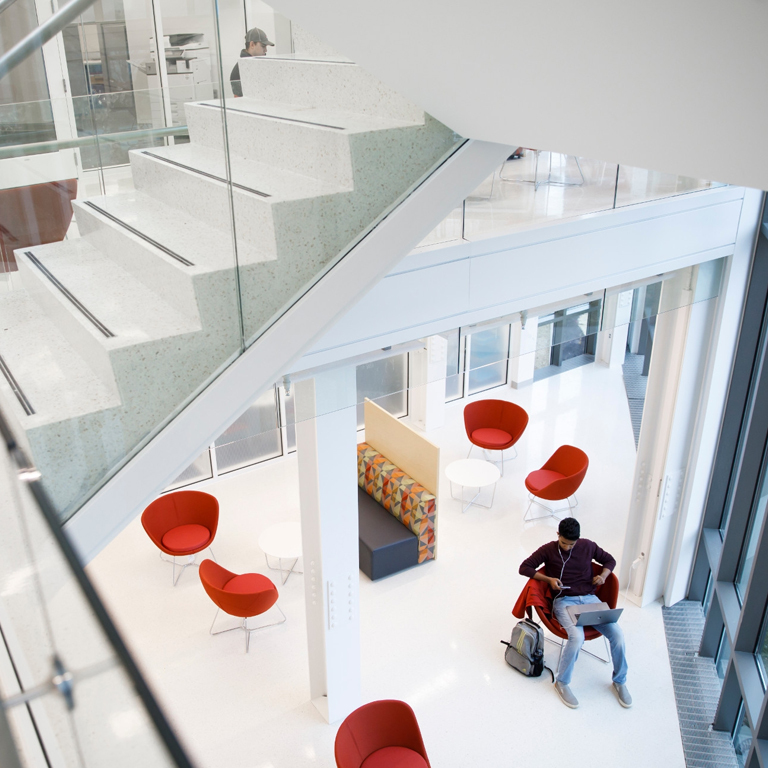 A considerable amount of energy use on campus is focused on buildings and how its occupants consume energy. Greenhouse gases, especially carbon dioxide, are directly related to that energy usage. Our annual campus Energy Challenge engages students, faculty and staff to make behavior change toward a more energy efficient campus. Although reduced demand is one important part of a larger sustainability and energy efficiency strategy, IU recognizes that future supply shifts will be needed to reach our goals—having already taken some positive steps, such as in 2011 and into 2012, shifting the primary fuel source at the Central Heating Plant from coal to cleaner burning natural gas. As the campus works towards the goal of an 80% reduction in GHG emissions by 2050, as laid out in the Campus Energy Master Plan, IU is also committed to consistently re-examining the improving business case for large scale renewable energy. Given the most recent climate science consensus as presented by the IPCC, Sustain IU supports more aggressive targets that are needed to avoid catastrophic climate change impacts—such as 45% GHG reduction by 2030 and carbon neutrality by 2050. To carry out this promise, the University is committed to building and renovating healthier, less wasteful, energy efficient buildings in which to learn, work, and live. Discover current and future LEED buildings below via the interactive campus map on multiple IU campuses. Read more about current initiatives below. Also look into the resources provided to learn more about energy efficiency, data, and sustainability leadership. Current initiatives such as the Energy Challenge help to leverage work done by facility operations. A continuously updated collection of resources can help you sustain IU to improve energy efficiency, raise awareness among students, and integrate energy consumption and sustainability across the University. Open to faculty, staff, and students across all IU campuses, members of the working group meet monthly to collaborate on sustainable energy initiatives. To join these efforts, co-chaired by Mark Menefee, Stephen (Chip) Glaholt, please contact us. The first Thursdays of every month from (2/7, 3/7, 4/4, 5/2) 2:30PM-4:00PM at the E-House.